Becci is a visual artist involved in many creative medias and processes and working within communities. Some of Becci clients include District Councils, Arts and Community Partnerships, Corporate, Schools and Early years settings. Becci has been awarded many commissions working within the community. Becci uses a variety of different materials largely depending on what project she is working on at that time. 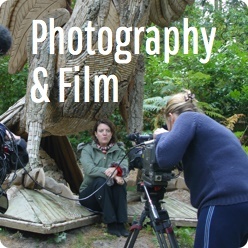 Working not only in sculpture but also in visual arts, public art, photography, digital art and applied puppetry. 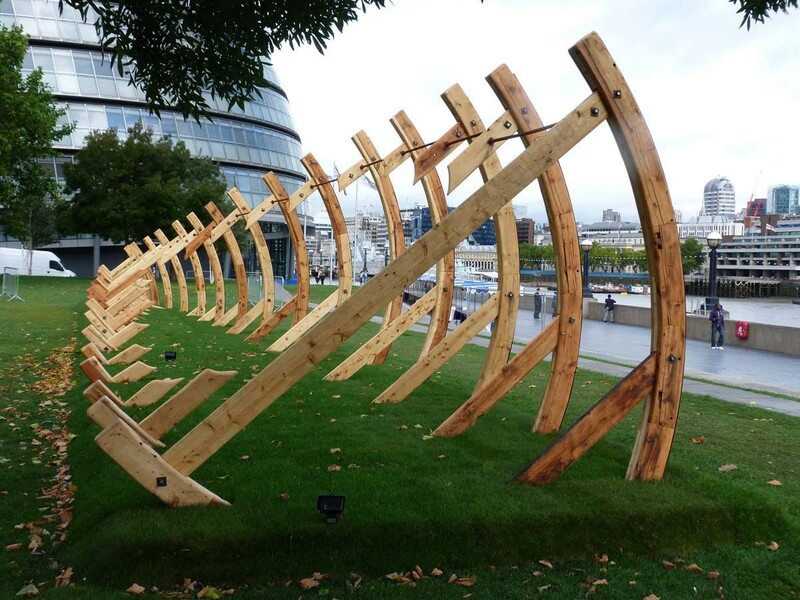 “Shipwreck” is created from reclaimed timber and creates the illusion that the hull of this skeleton ship is beneath the earth. 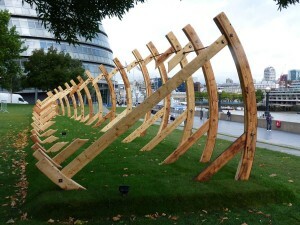 The 75 foot piece was installed next to London’s City hall as the centerpiece for The Environmental Zone of the Mayor’s Thames Festival in September 2011 and was part of a project with over 3,000 school children to think about and connect with the River Thames.